On International Labour Day, it is time to show solidarity with neighbours and workers across the globe. 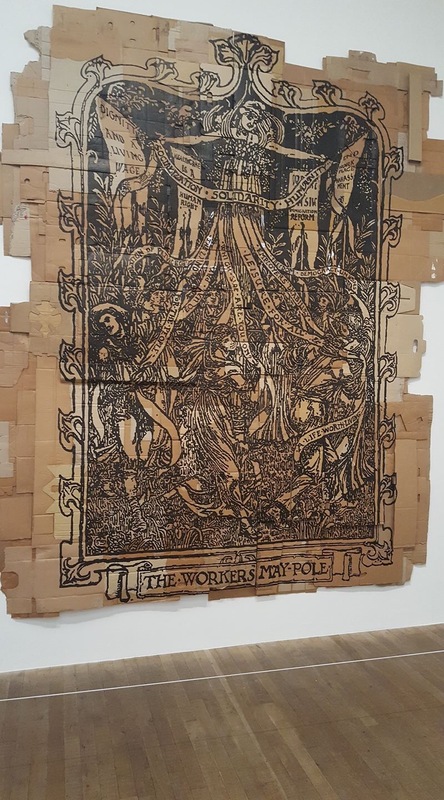 This was produced on reclaimed cardboard from the Occupy movement in the US, and was displayed in Tate Modern. On Labour Day, we remember injustice that the government produce and have control of the money, yet do not share it fairly. It goes to the banks and to the rich 1%. These are the wealth extractors. The true wealth is created by workers, and resources from the earth. The government are elected to serve the people but they fail in their responsibility to share wealth with all citizens, creating poverty, and that is why we need a Labour government. We deserve and demand a fair society in which no person or town is left behind. We have a wonderful opportunity to overturn this injustice. Everyone who can should register their vote, and help to make history on June 8th.